545 Grandon Road, Greer, SC 29651 (#245995) :: Century 21 Blackwell & Co. Realty, Inc. Brand NEW energy-efficient home ready NOW! The spacious Waverly features three floors of space for everyone with the owner suite located on the main floor. Cook up a storm in your gourmet kitchen with butler pantry. Entertain in the great room with a gorgeous stone fireplace. Enjoy movie night in the media room with the whole family. Exercise, play, or do crafts in the bonus room on the third floor. 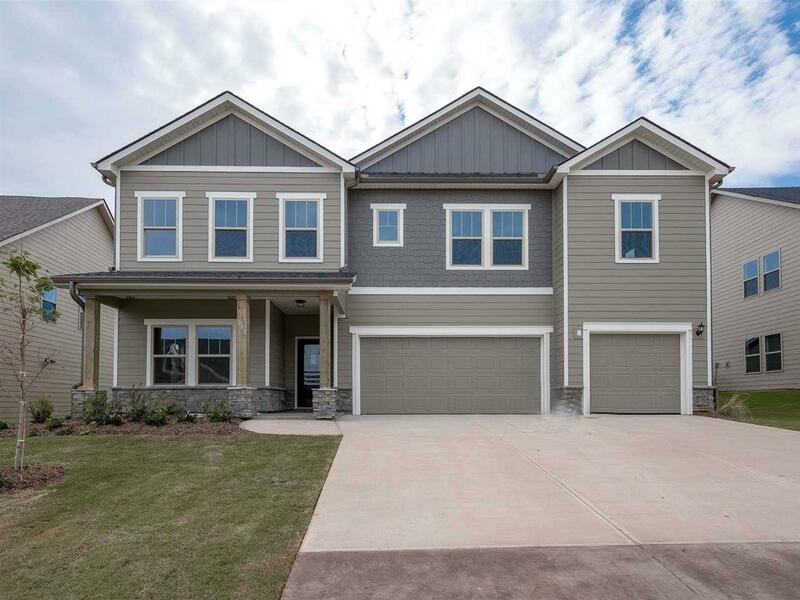 Finishes include hardwoods in the first floor living spaces and stairs, tile floors in all baths and the laundry, and granite counter tops in the kitchen. Manor at Abner Creek affords convenience to both Spartanburg, SC and Greenville, SC and all that this area has to offer. Just minutes from BMW, the airport and the under-construction Bass Pro Shop, work and play are steps away. Known for our energy-efficient saving features, our homes help you live a healthier and quieter lifestyle, while saving you thousands on utility bills! Like: Spray foam insulation in the attic for energy saving and better health Low E windows for 15% less heating/cooling costs ENERGY STAR appliances for lower energy costs CFL/LED lighting for about 75% less energy costs Fresh-air management system for clean, fresh air circulation 14 SEER HVAC helps save energy and money Conditioned attic helps seal out particulates, rodents and noise PEX plumbing is more resistant to freeze breakage Minimum Merv 8 filtration helps minimize indoor particulates CFL/Led energy efficient light bulbs. Listing provided courtesy of Mth Sc Realty, Llc.